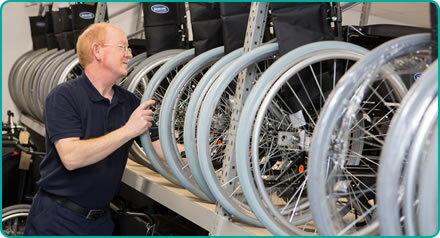 Bristol Centre for Enablement Wheelchair Services provides a range of equipment based on your individual mobility and related postural and functional needs. The equipment has to be durable and rated for your weight. Carer needs are considered as well as client requirements, although equipment cannot be provided solely based on carer needs. A voucher programme is also available.